Hello everyone! Happy weekend! Today I would like to show you a graduation card I made as a request using parts of the original invitation. Nothing like recycling invitations and cards received from family and friends. 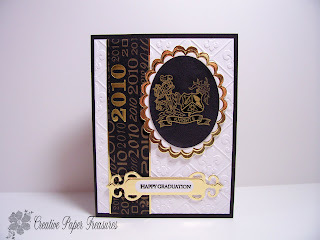 I used Stampin Up basic black cardstock as the base for this card. The white layer is Stampin Up whisper white cardstock and embossed with the fleur de lis Cuttlebug embossing folder. The black oval and strip down the front are cut from the invitation. 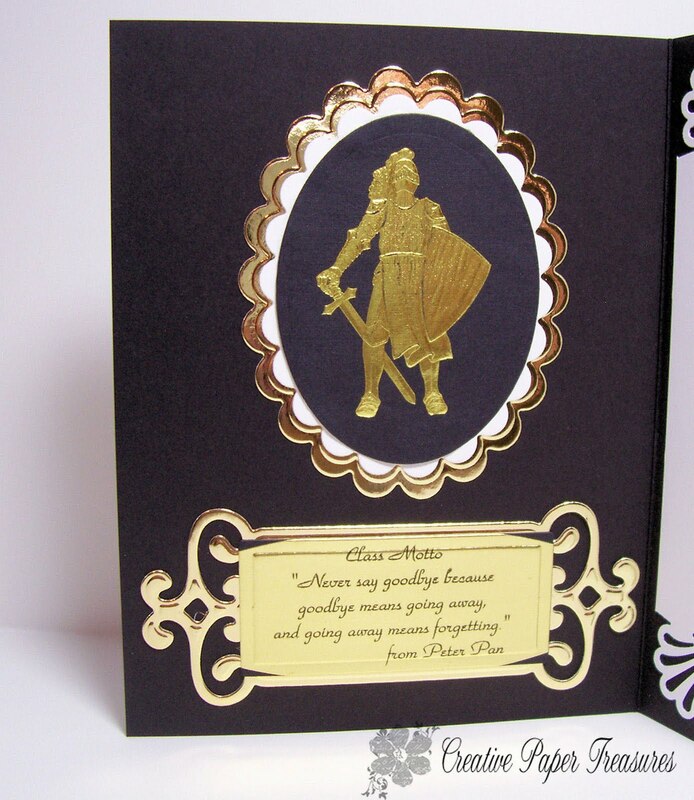 Gold mirror cardstock I had laying around from my stash is used for matting the greeting and oval. 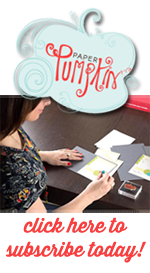 Stampin Up Teeny Tiny Wishes is stamped on whisper white with basic black ink. 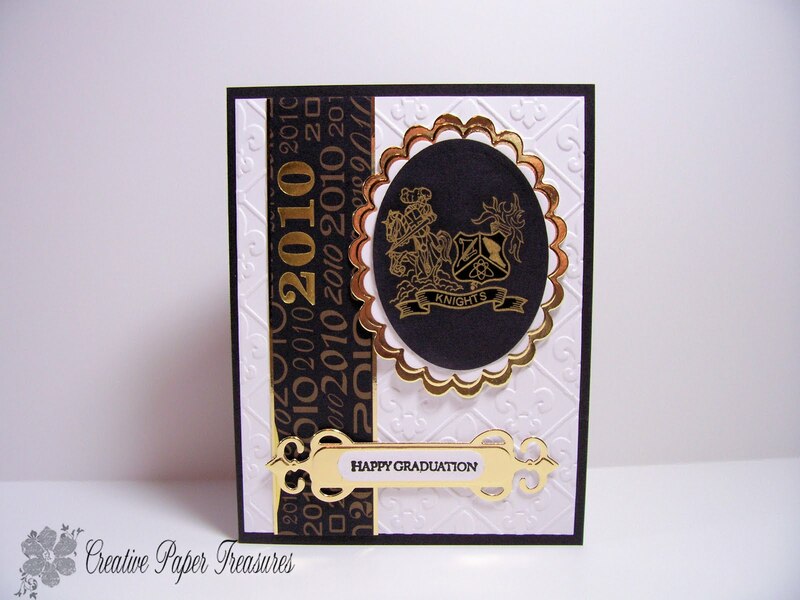 Spellbinders scallop and classic ovals is used for cutting and embossing the focal point on the card and the fancy tags shapabilities for matting the sentiment. Parts of the origianl invitation was also used for the inside of the card. Cardstock: SU Basic Black, SU Whisper White, Gold Mirror cardstock from my stash. 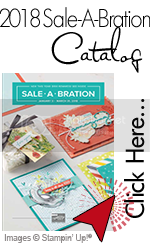 Accessories: Cuttlebug EF, Spellbinders Scallop and Classic oval and Fancy Tag dies, Martha Stewart corner punch. I hope this card gets those creative juices flowing and encourges the recycling of cards you receive from family and friends. If you liked today's projects, please leave me a comment. I welcome any and all suggestions. Your graduation cards are awesome!